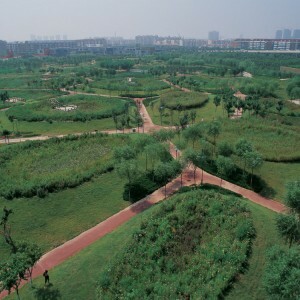 Turenscape: Through Regenerative Design and by changing landforms, the natural process of plant adaptation and community evolution is introduced to transform a former deserted shooting range used as a garbage dump, into a low maintenance urban park; providing diverse nature’s services for the city including containing and purifying storm water; improving the saline-alkali soil, providing opportunities for environmental education and creating a cherished aesthetic experience. 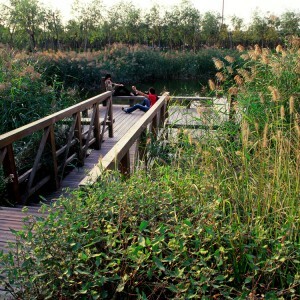 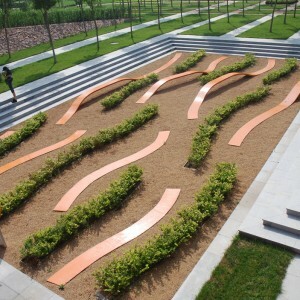 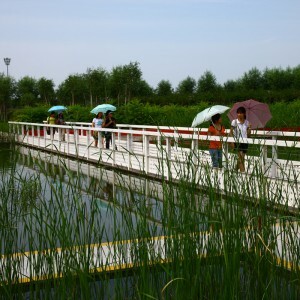 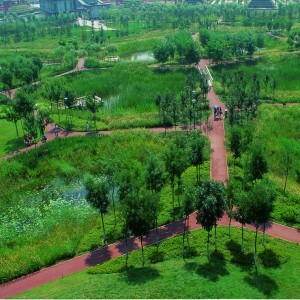 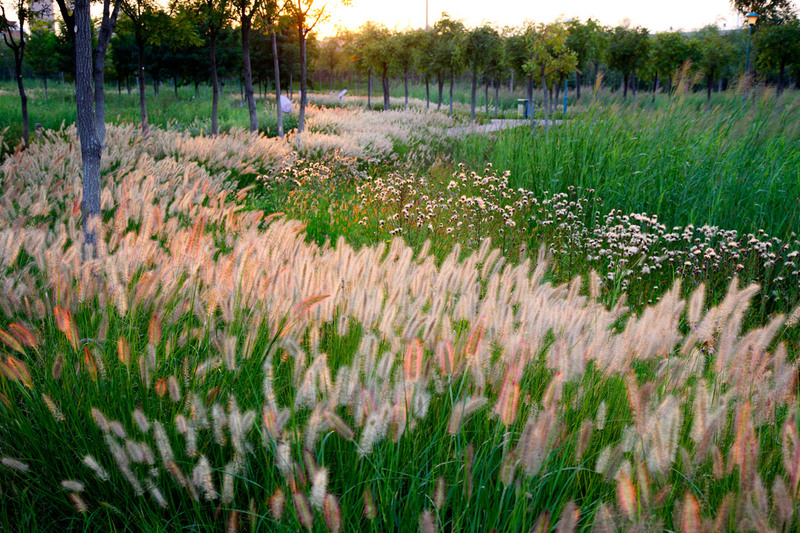 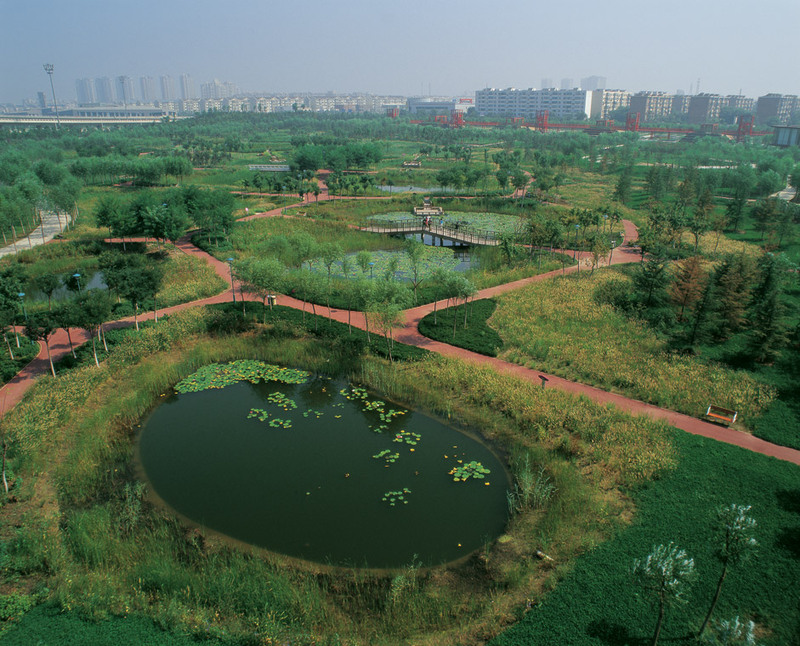 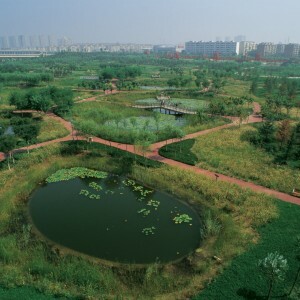 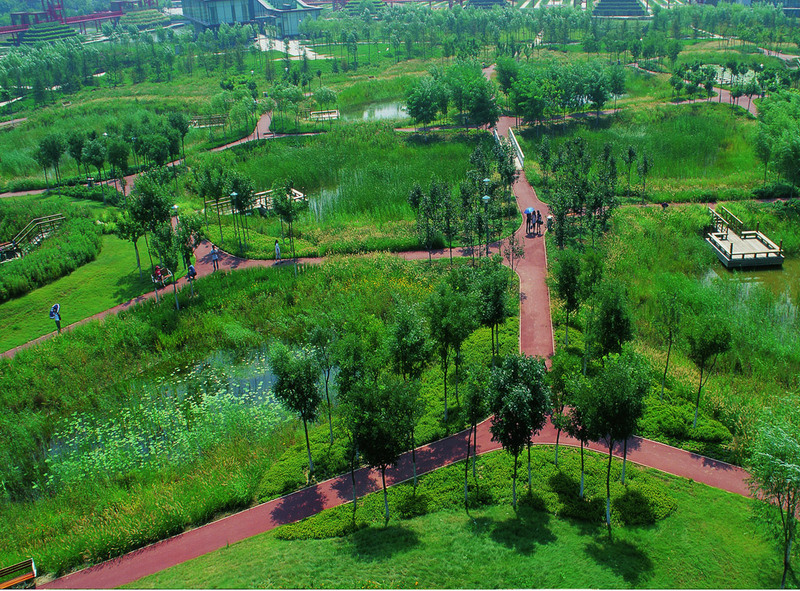 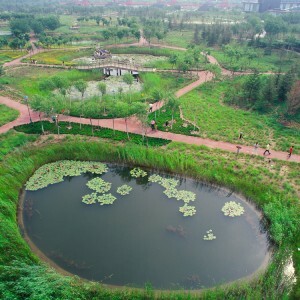 This is a park of twenty-two hectares (fifty-four acres) in the northern coastal city of Tianjin, China. 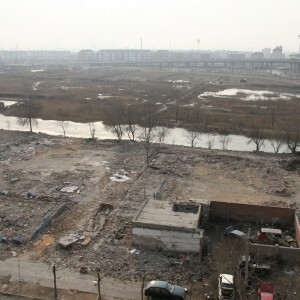 Rapid urbanization had changed a peripheral shooting range into a garbage dump and drainage sink for urban storm water; the site was heavy polluted, littered, deserted, and surrounded with slums and temporary rickety structures, which had been torn down before the design was commissioned. 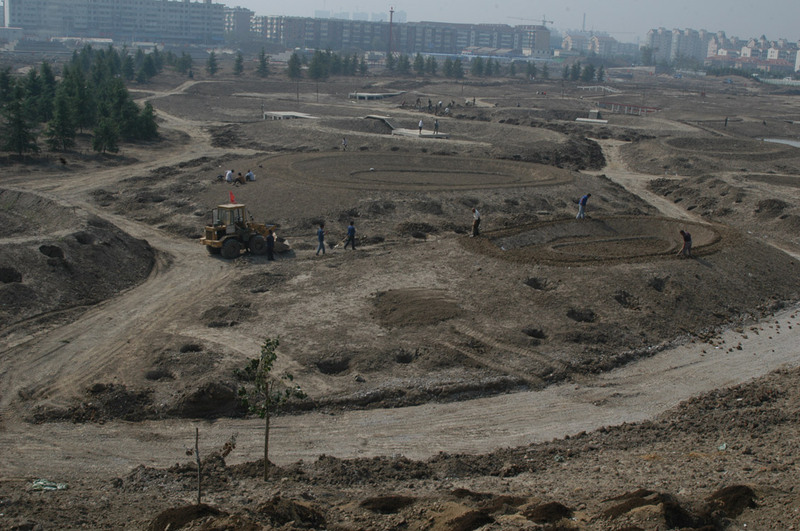 The soil is quite saline and alkaline. 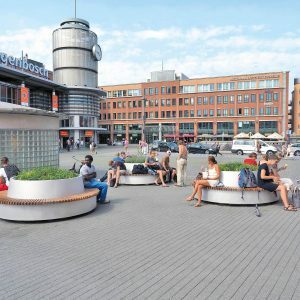 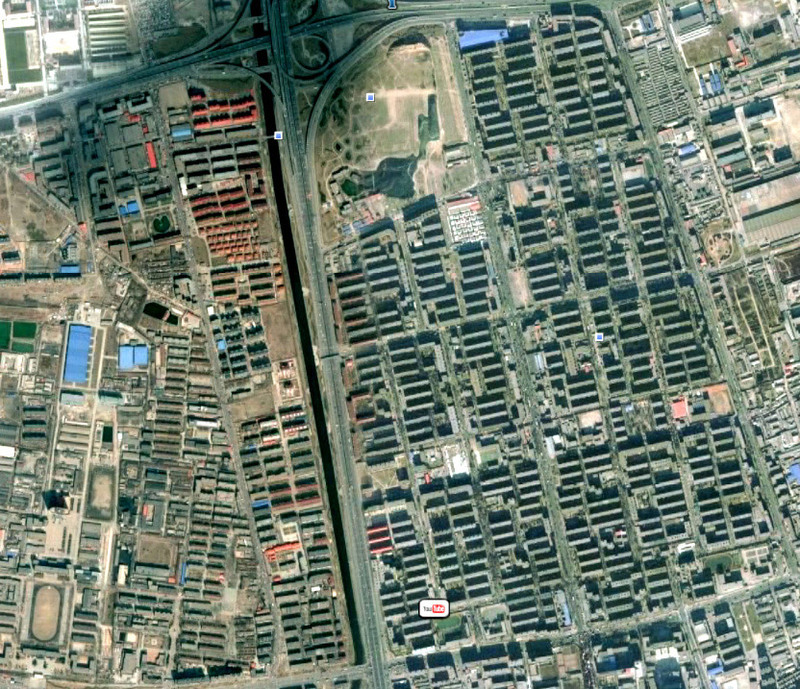 Densely populated at the south and east boundaries, the site is bounded on the west and north sides by a highway and an overpass. 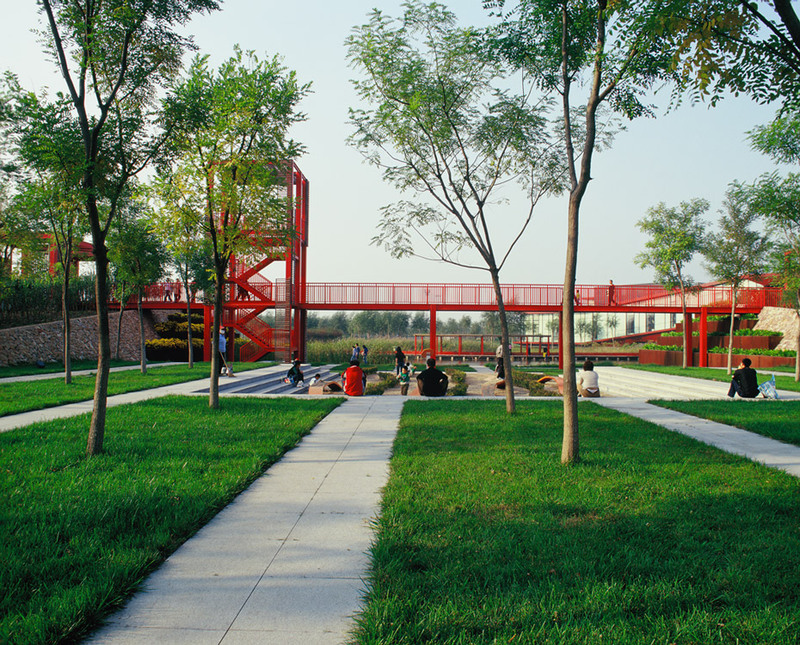 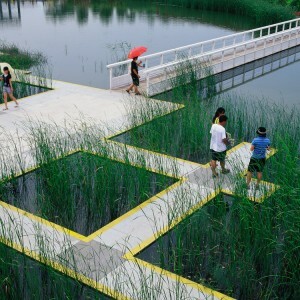 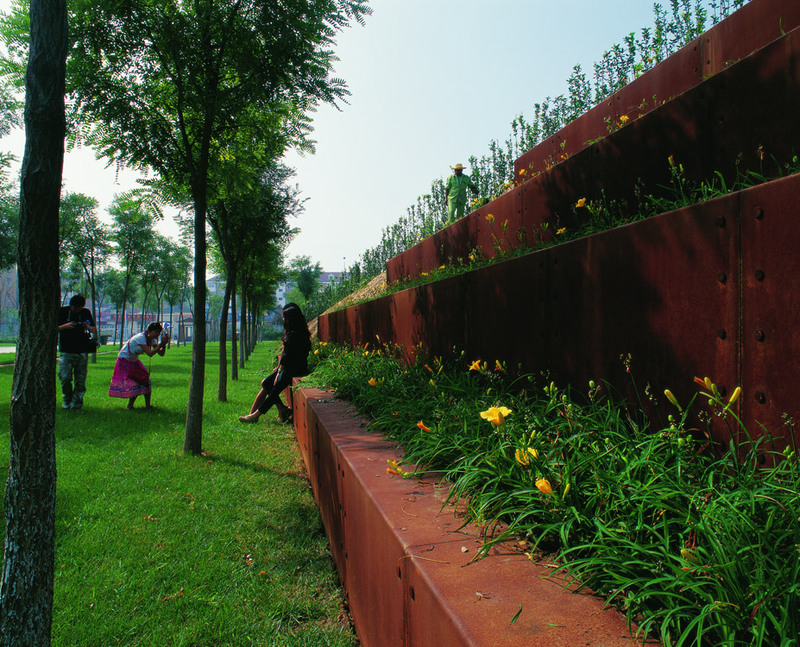 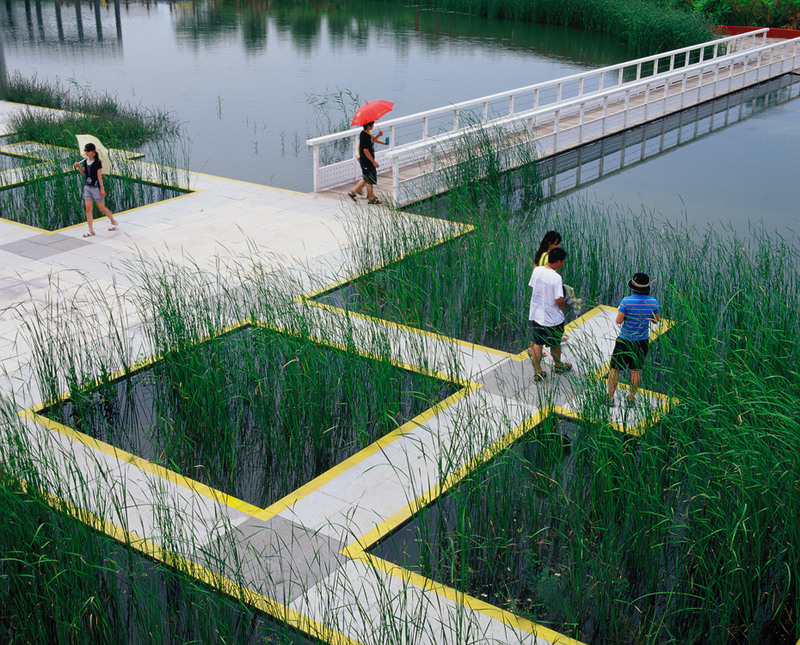 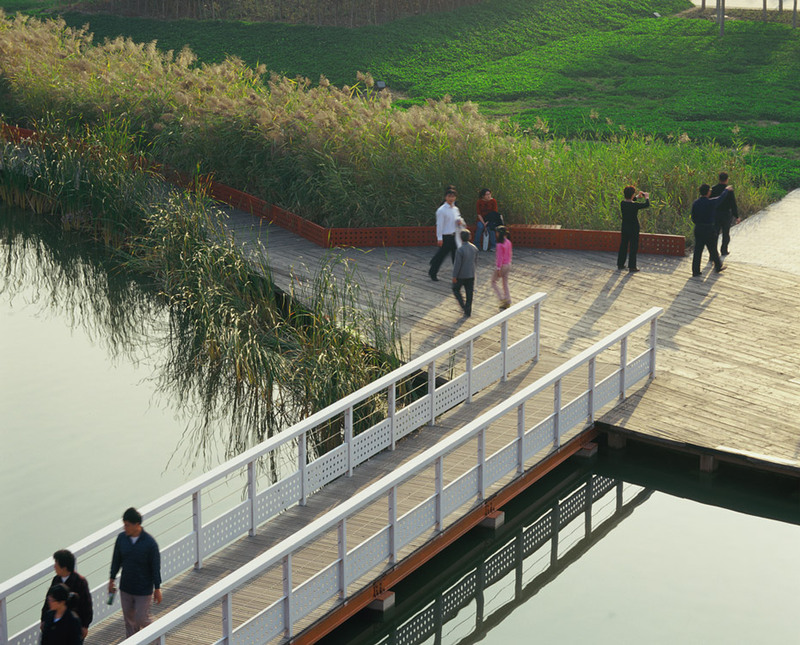 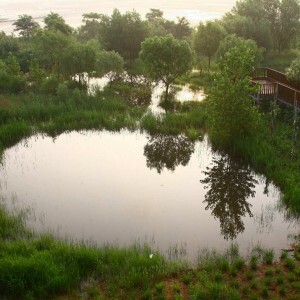 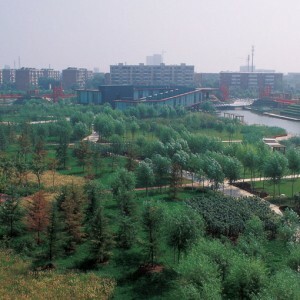 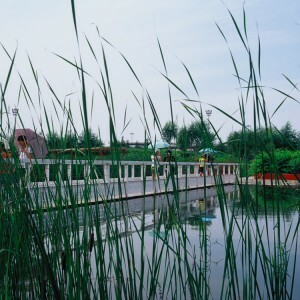 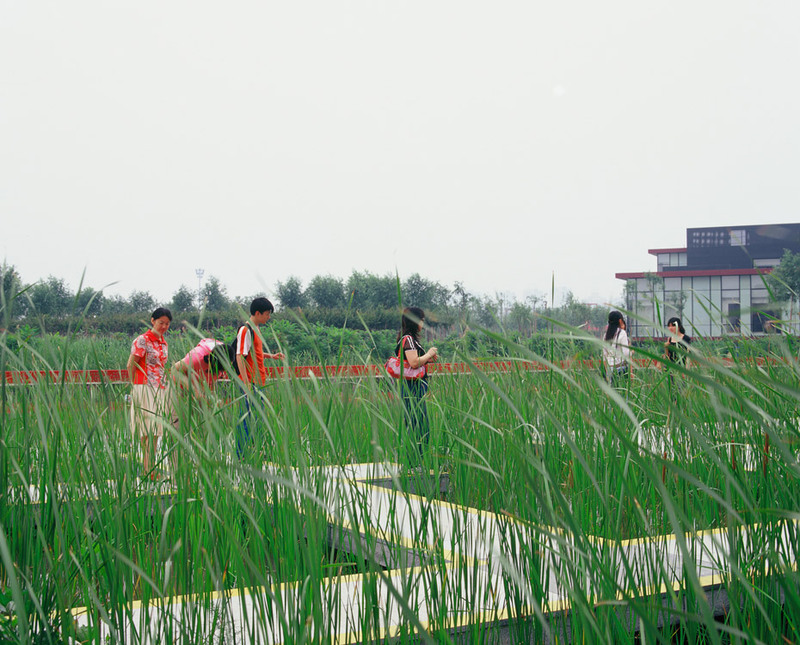 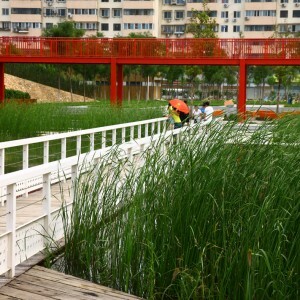 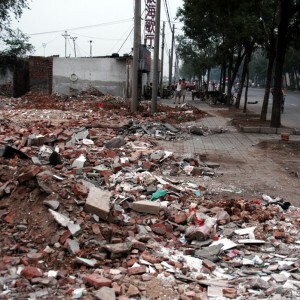 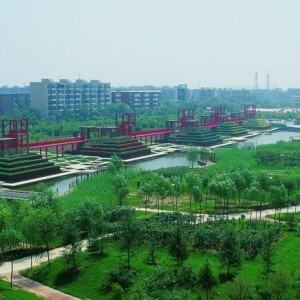 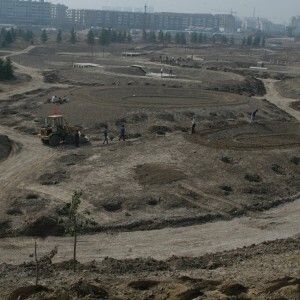 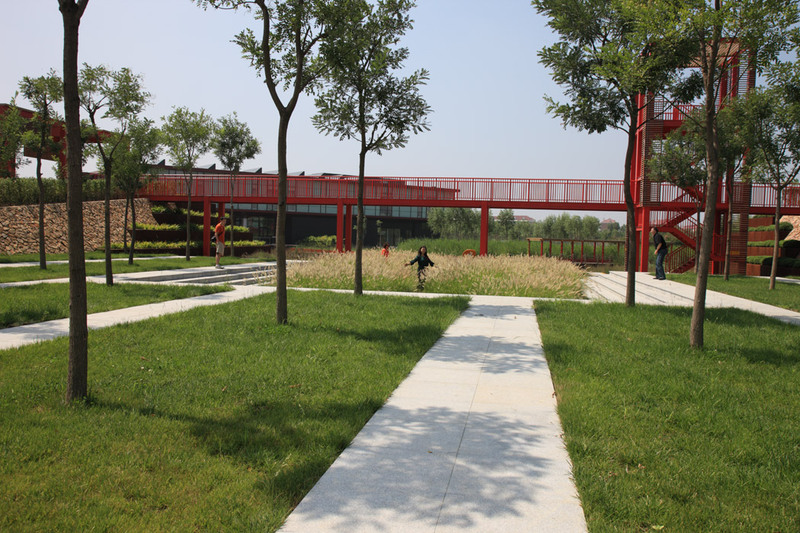 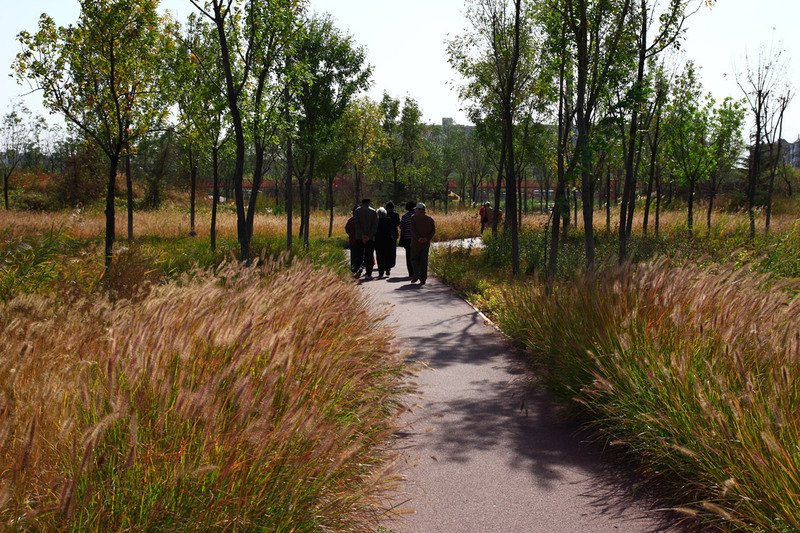 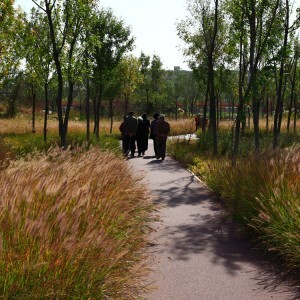 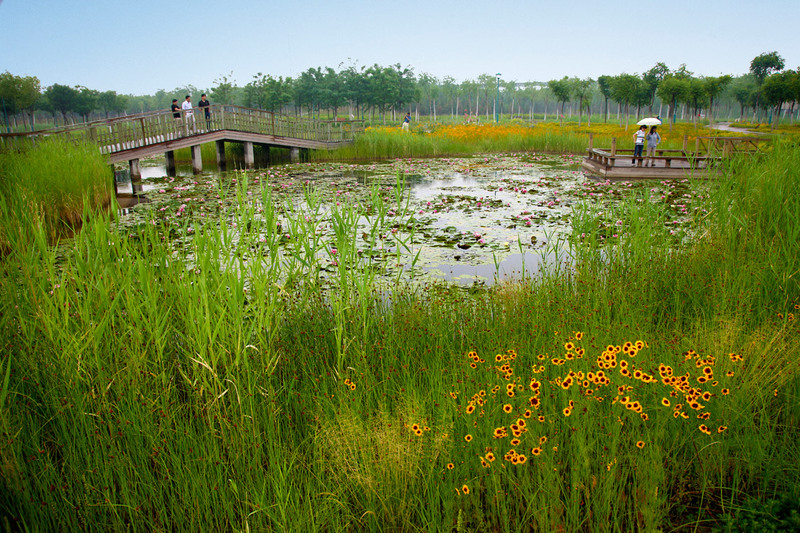 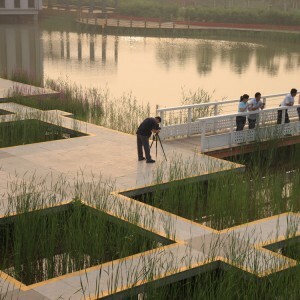 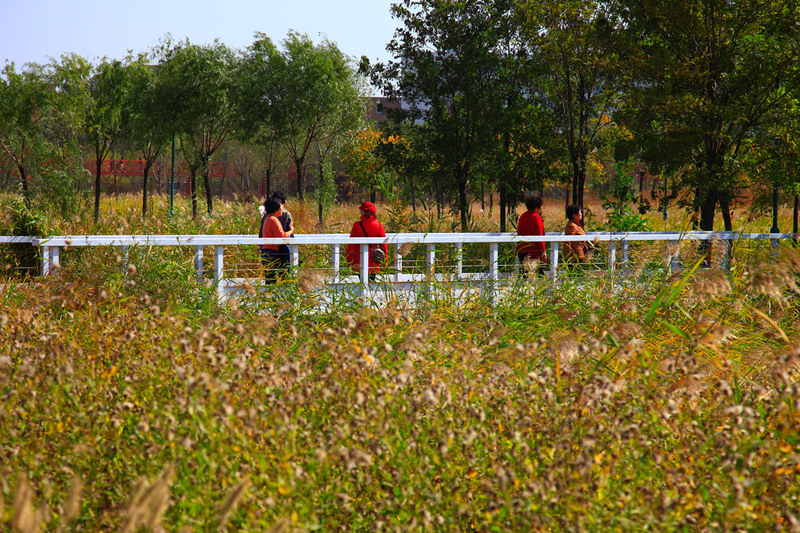 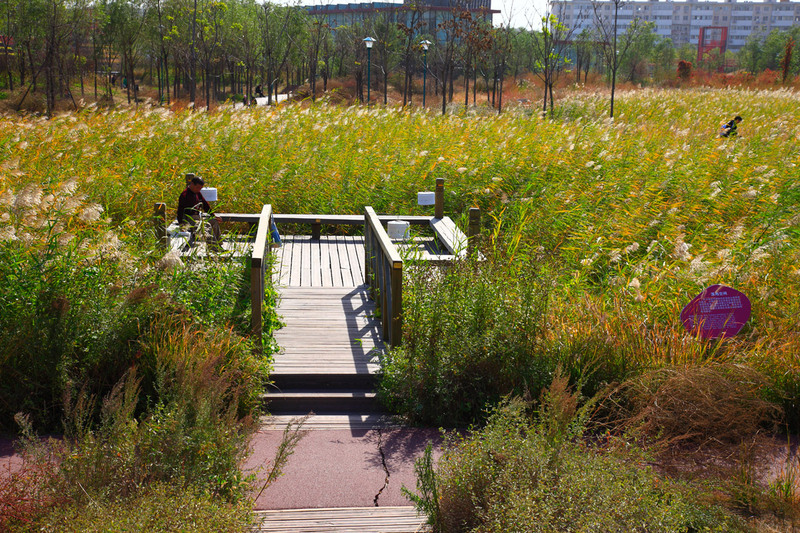 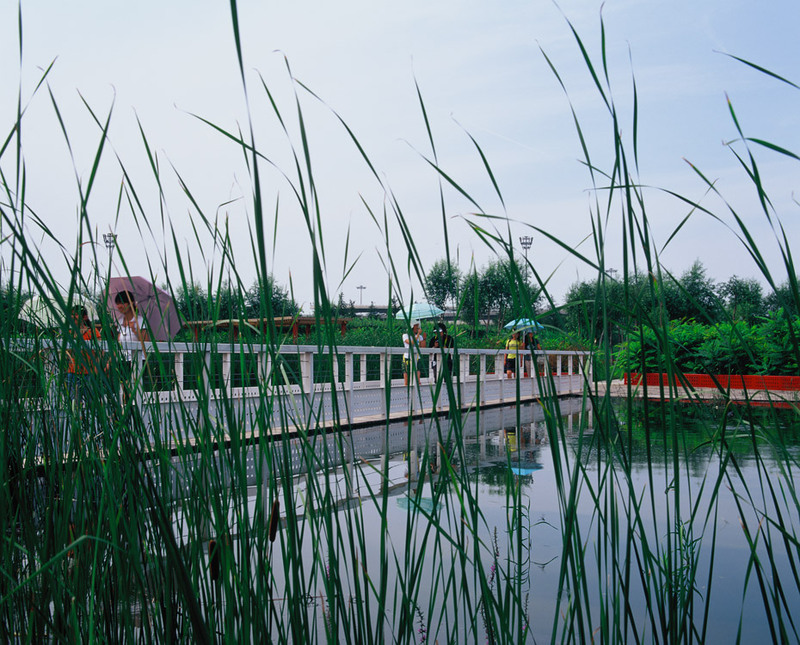 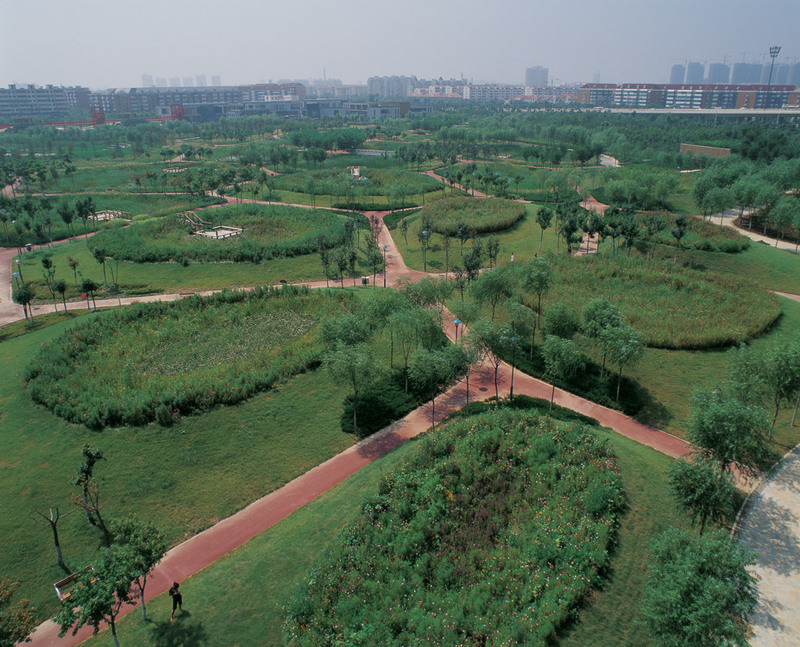 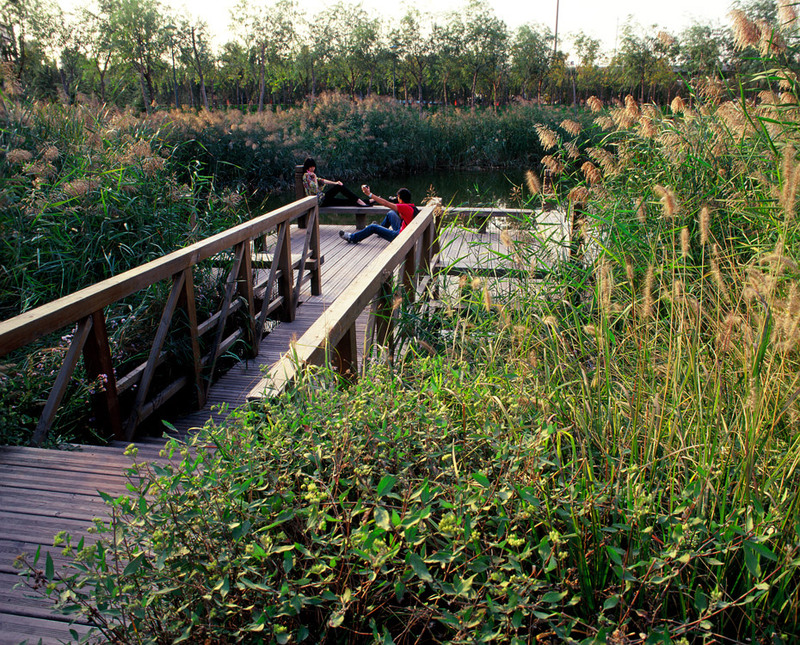 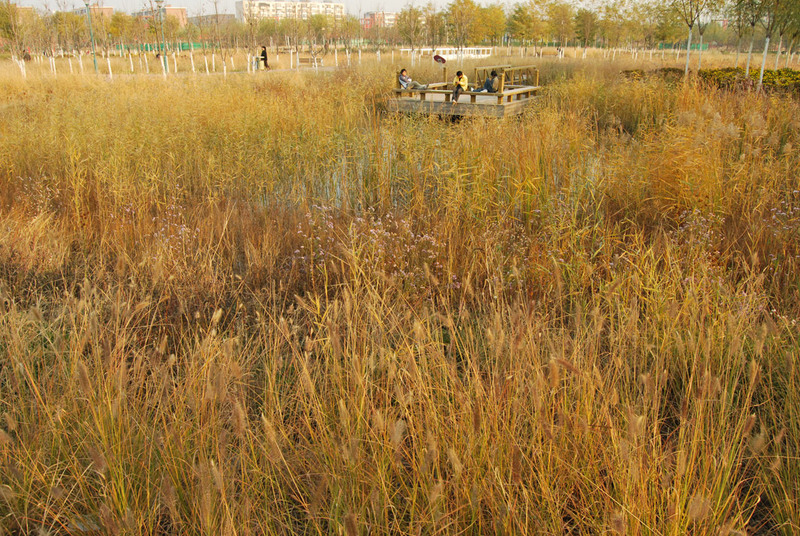 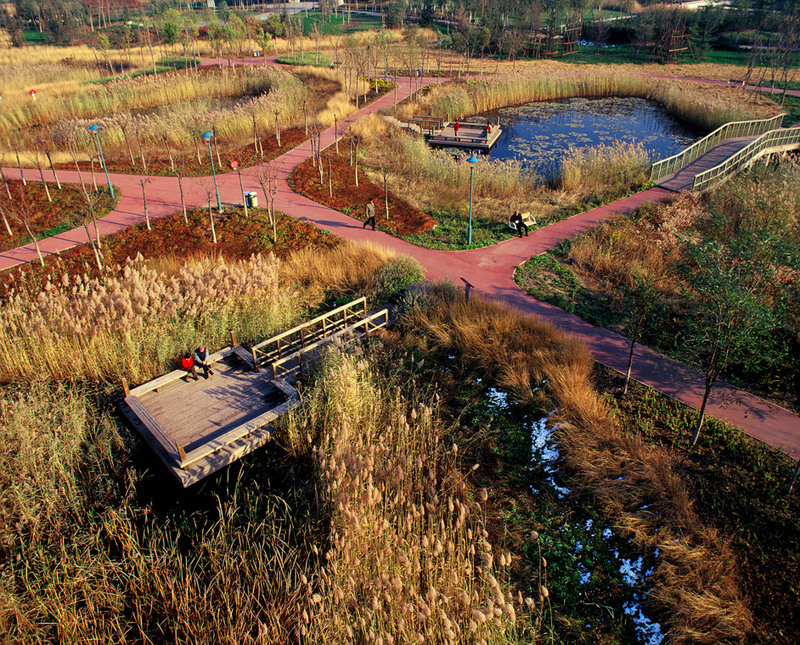 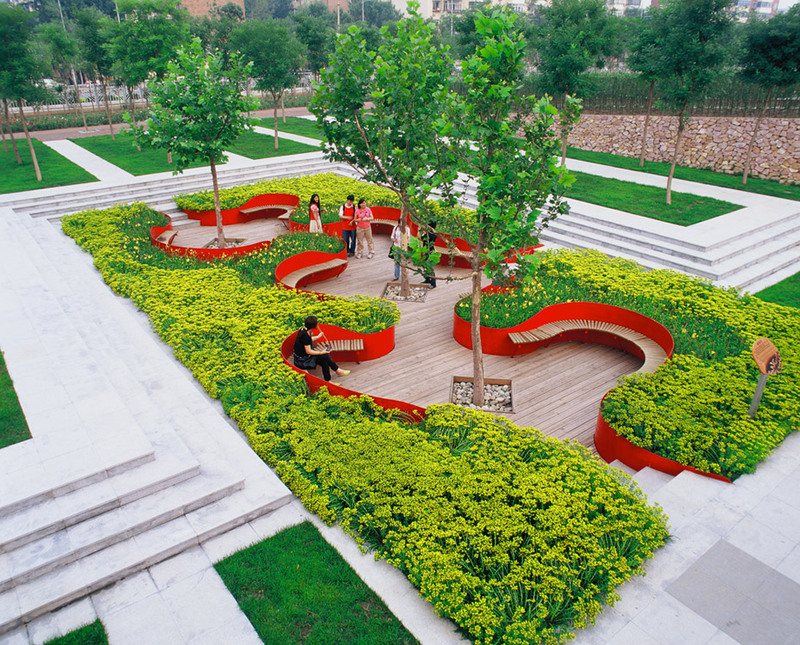 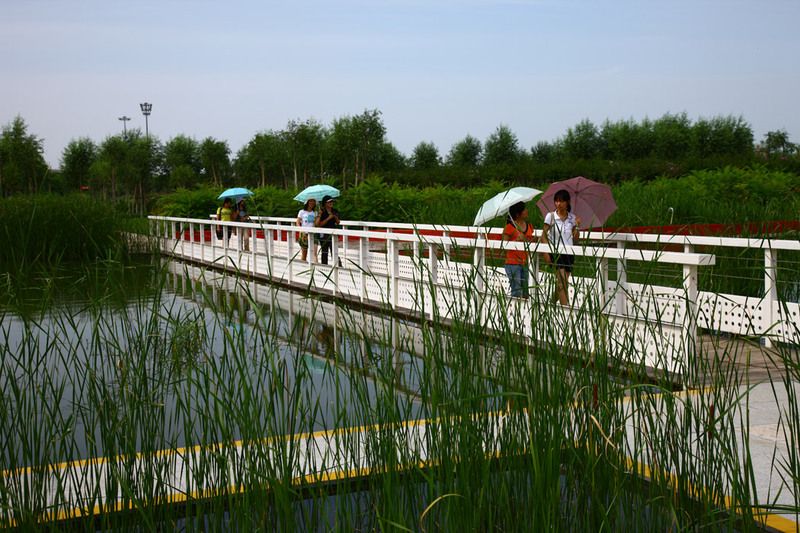 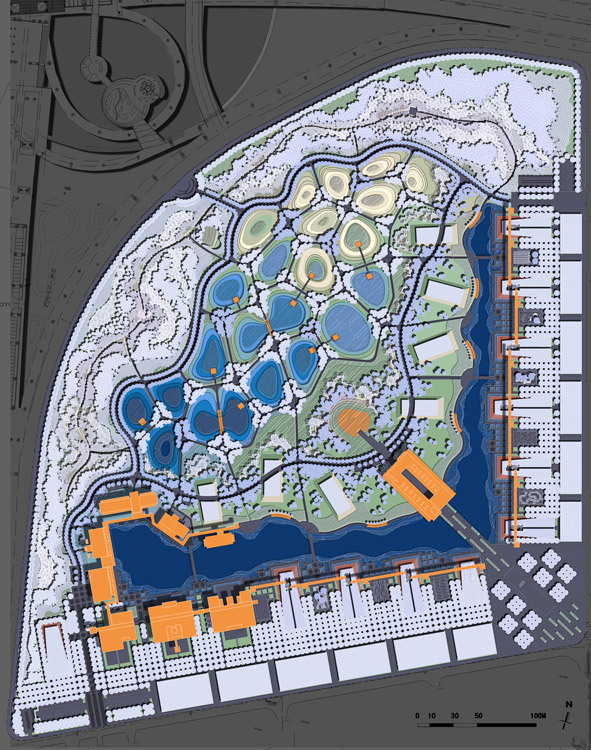 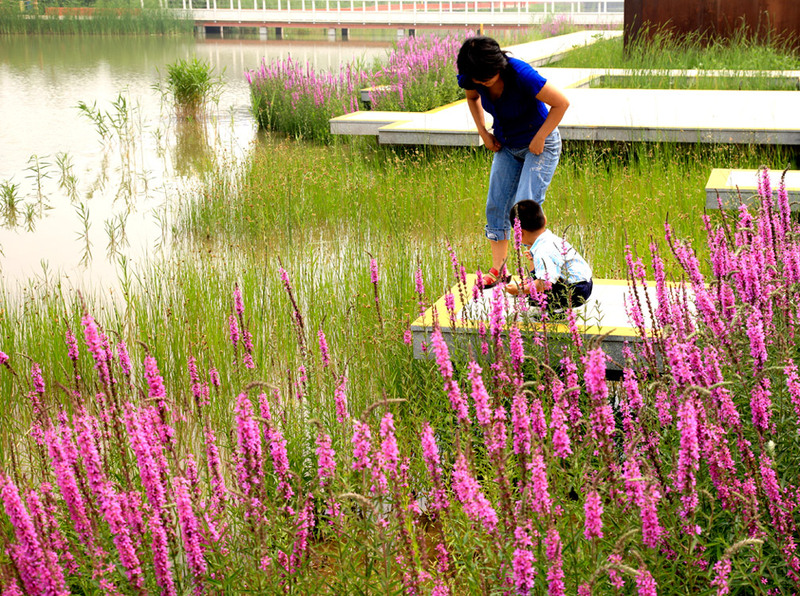 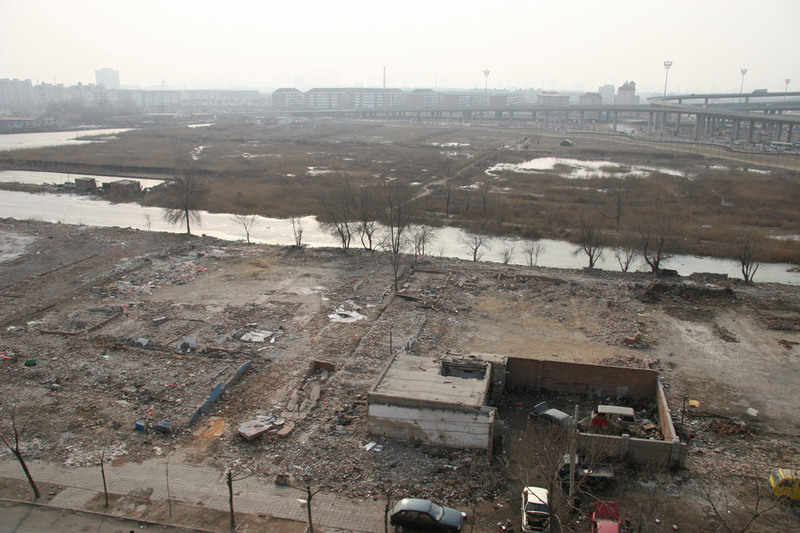 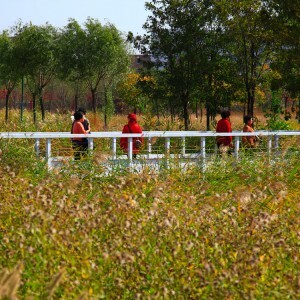 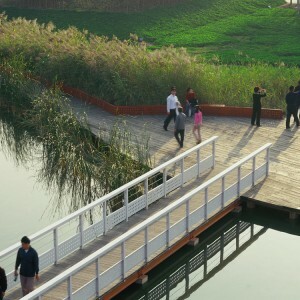 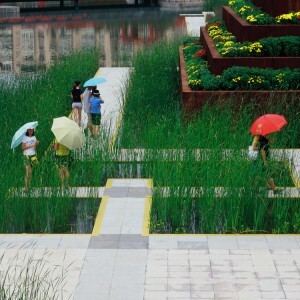 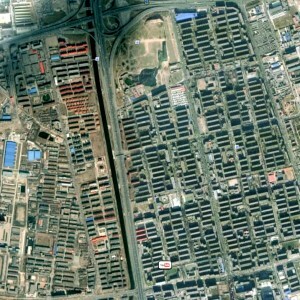 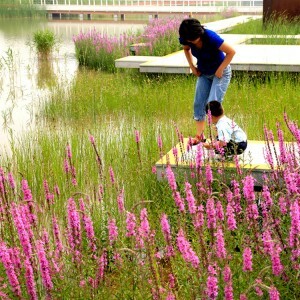 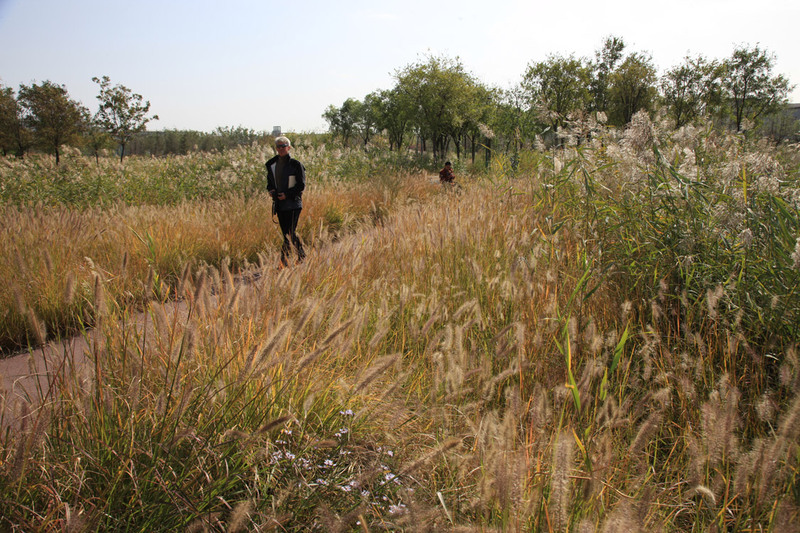 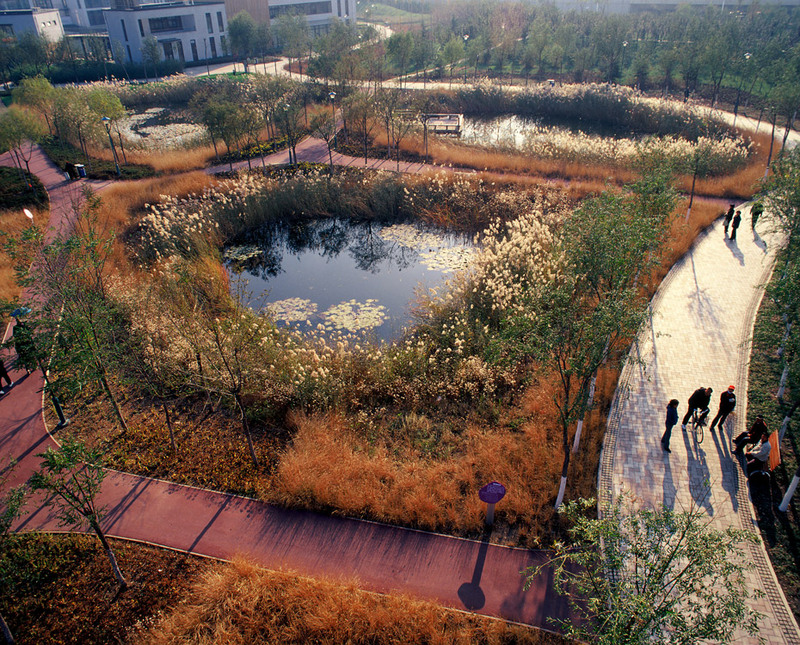 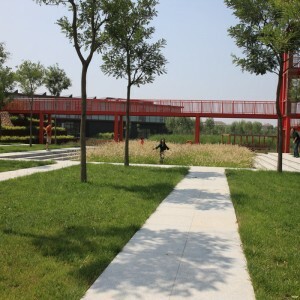 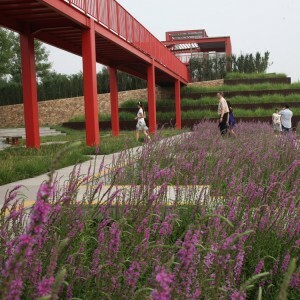 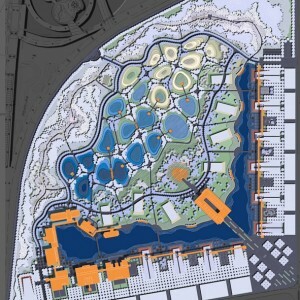 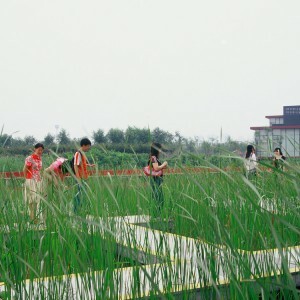 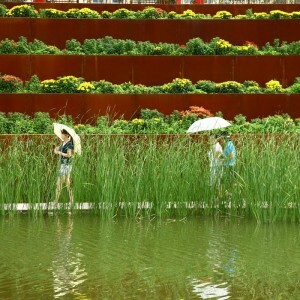 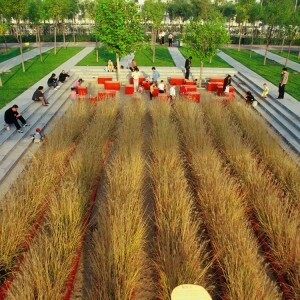 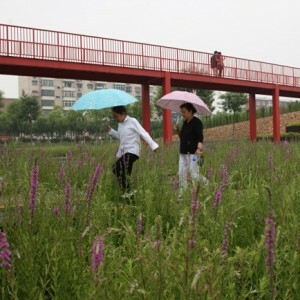 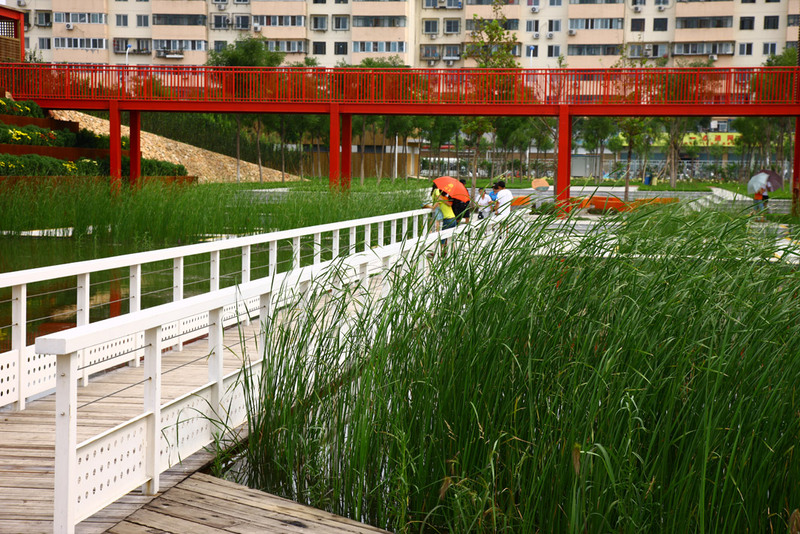 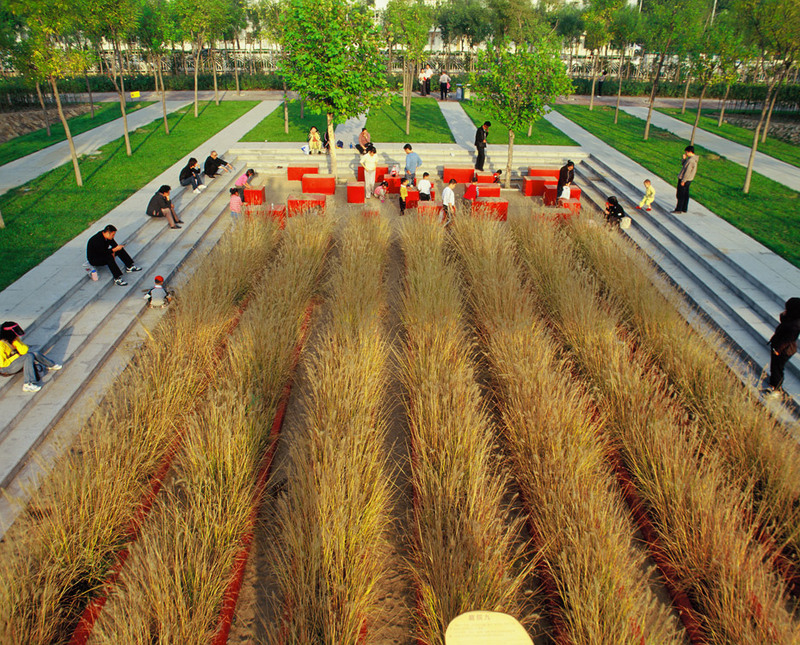 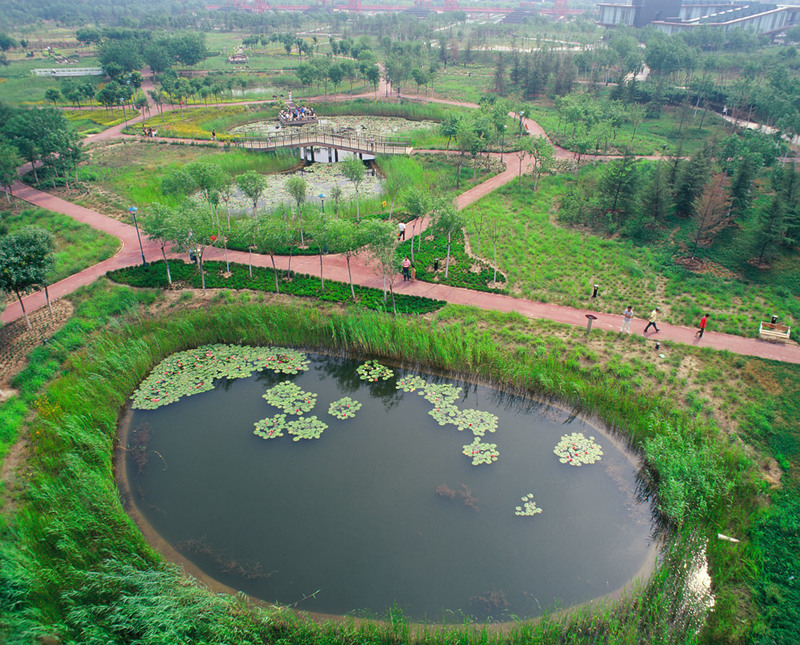 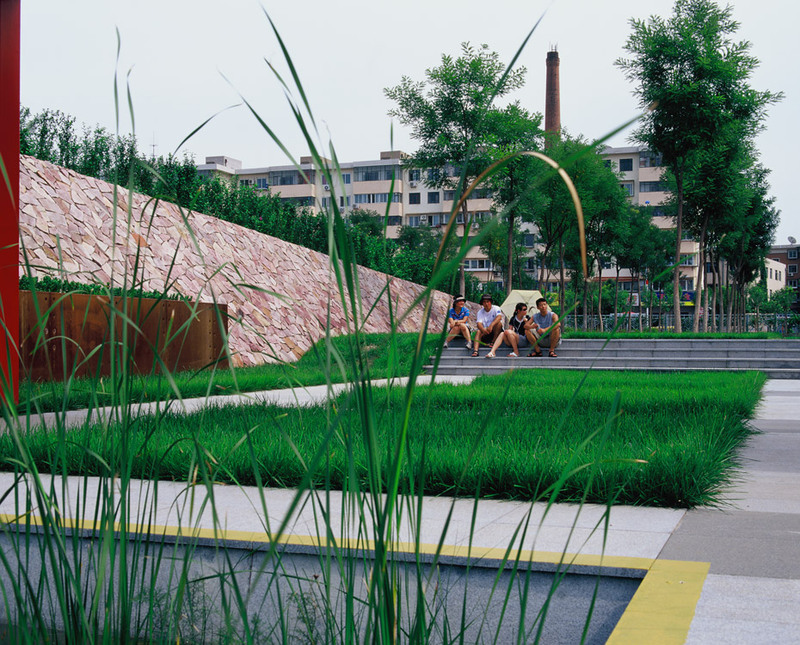 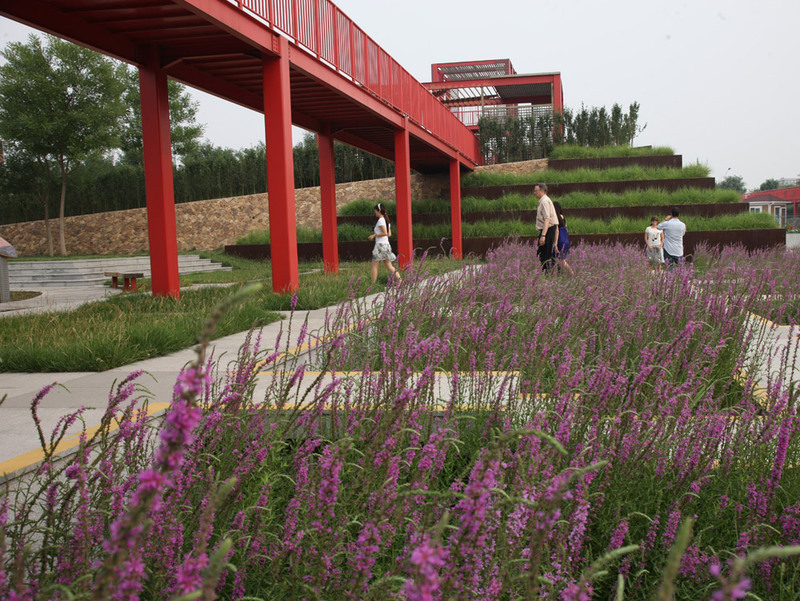 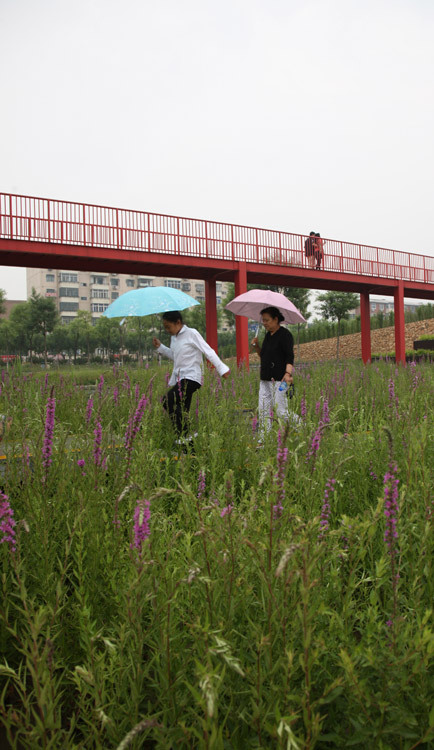 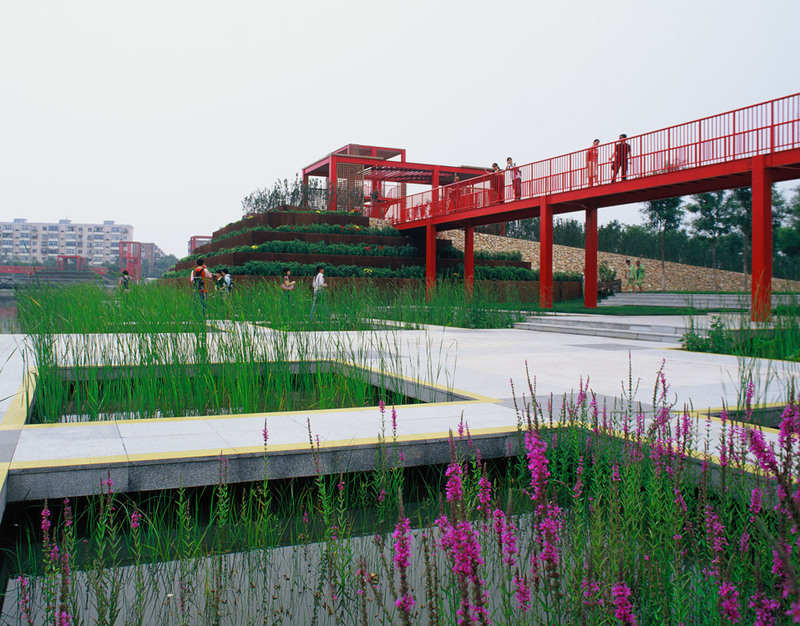 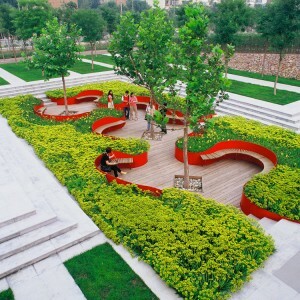 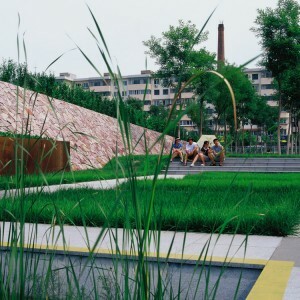 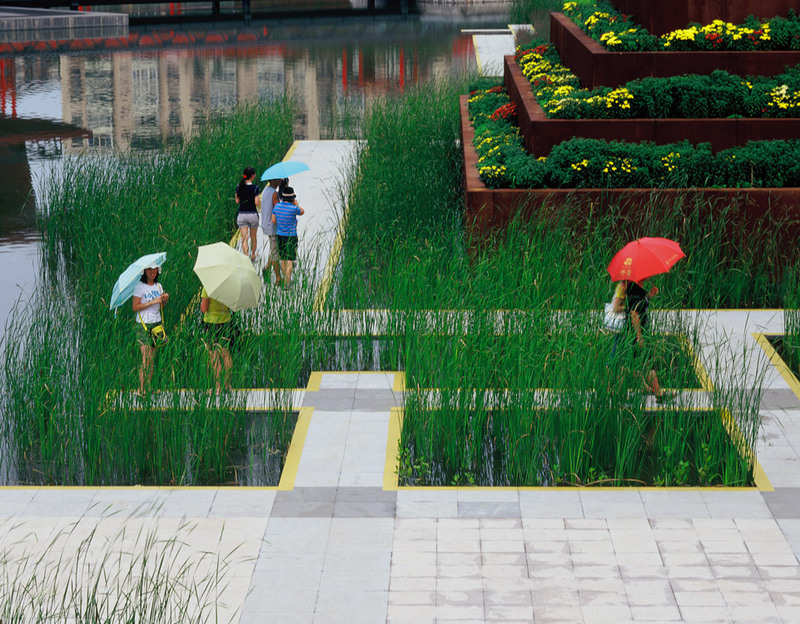 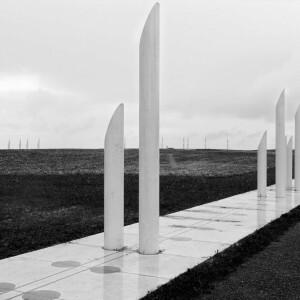 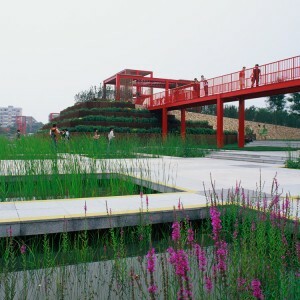 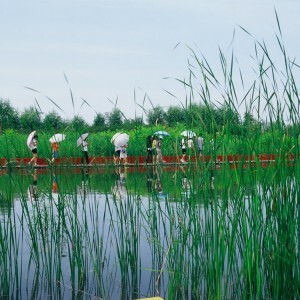 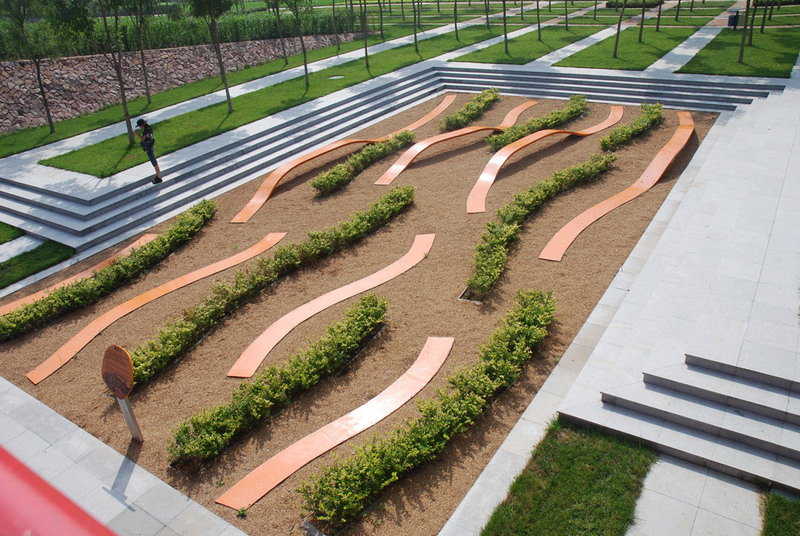 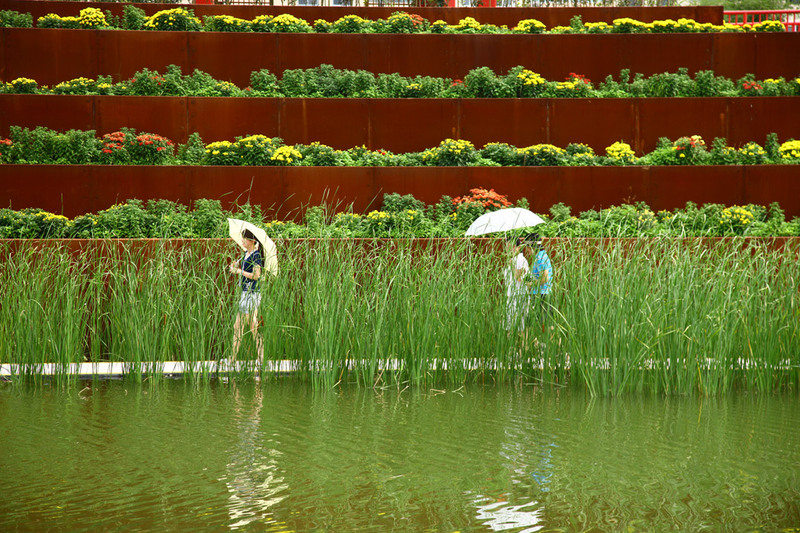 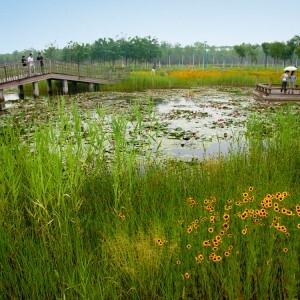 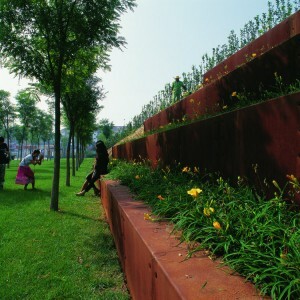 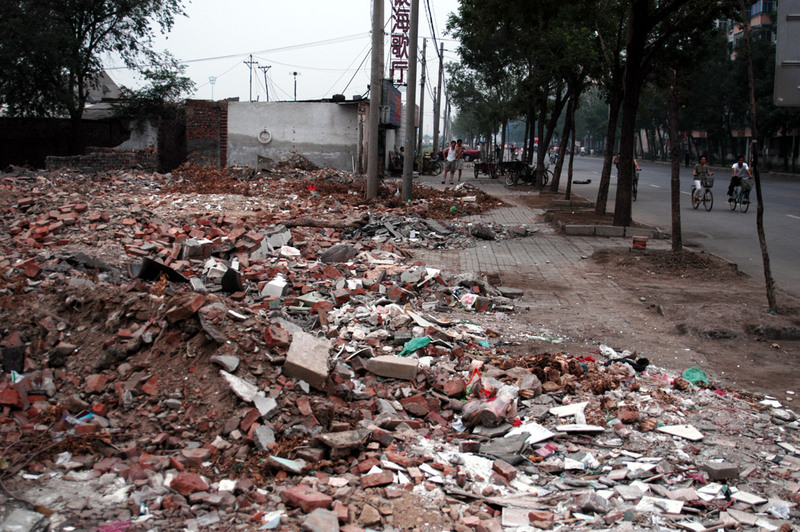 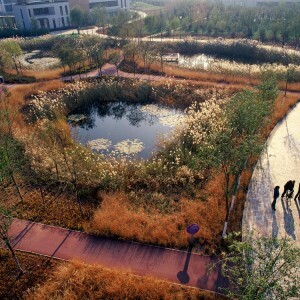 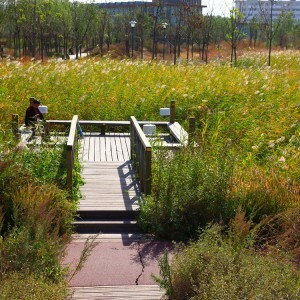 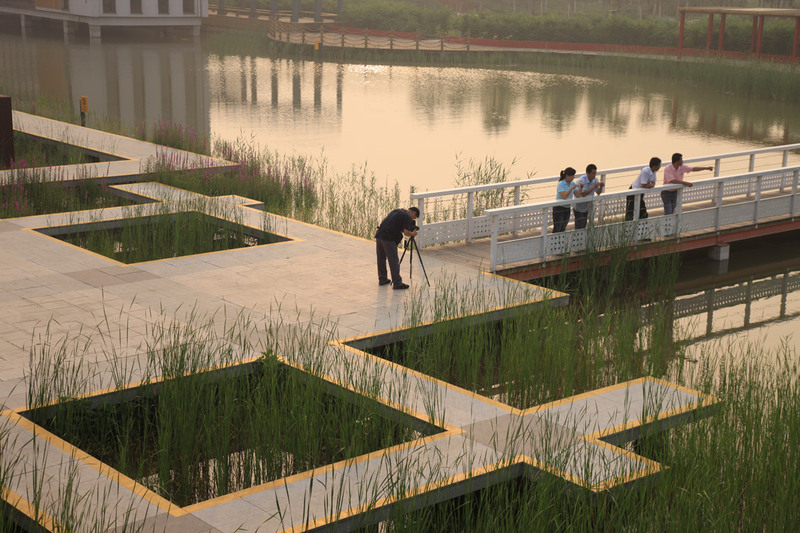 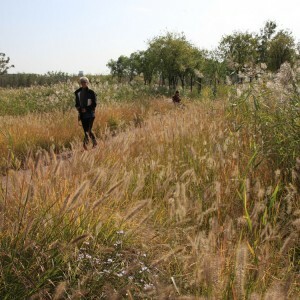 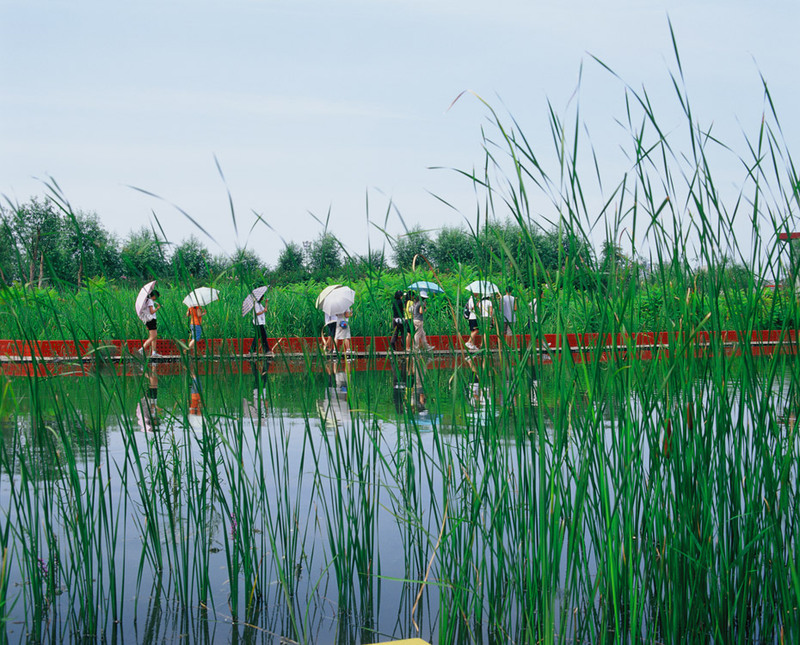 In early 2006, in response to residents’ call for environmental improvement of the site, the municipal government of Tianjin contracted the landscape architect with the difficult task of an immediate transformation of this degraded site. 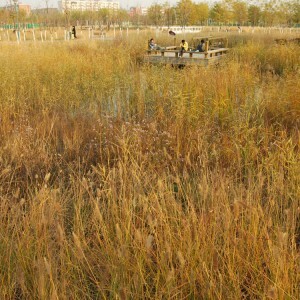 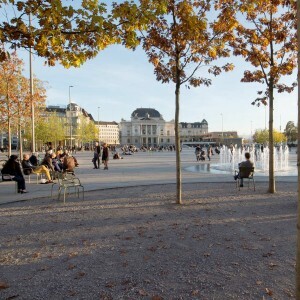 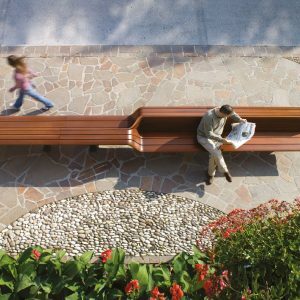 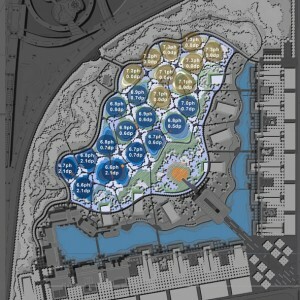 The overall design goal for this project is to create a park that can provide a diversity of nature’s services for the city and the surrounding urban residents, including: containing and purifying urban storm water; improving the saline-alkali soil through natural processes; recovering the regional landscape with low maintenance native vegetation; providing opportunities for environmental education about native landscapes and natural systems, storm water management, soil improvement, and landscape sustainability; creating a cherished aesthetic experience. 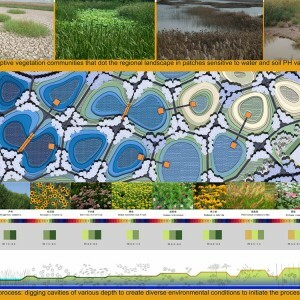 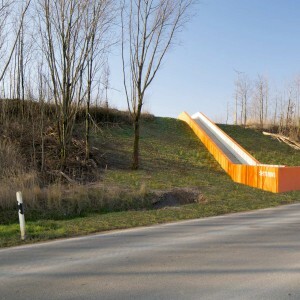 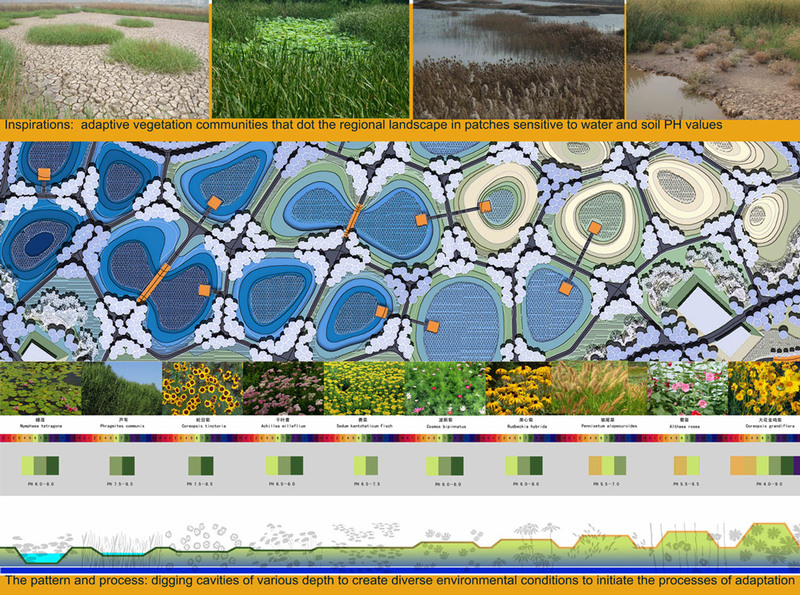 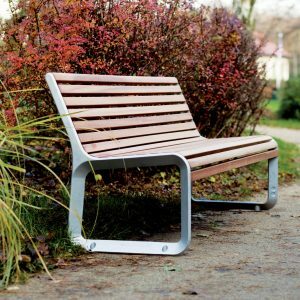 Wow such an amazing project, i have been looking for a precedent just like this! 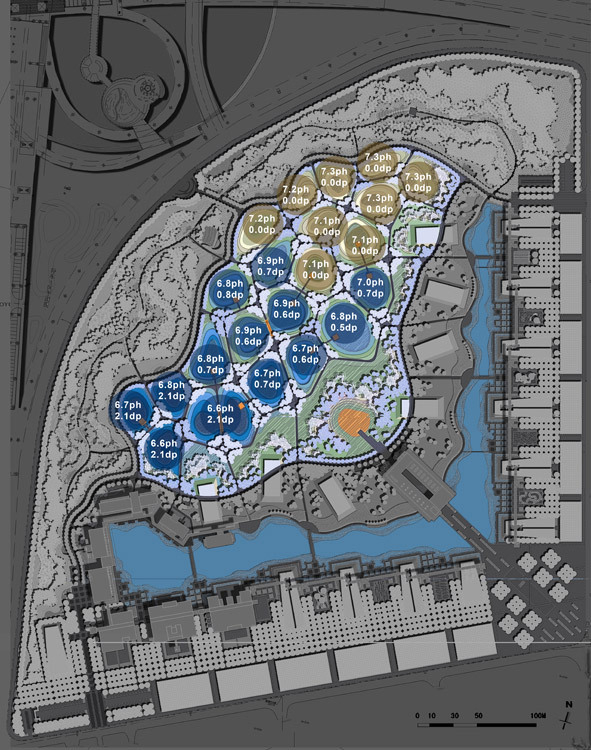 Nice concept of the ponds, but the concept gets lost in the details. 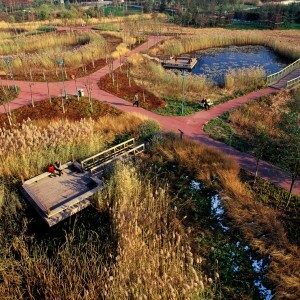 They could have done better to relate to the ponds. 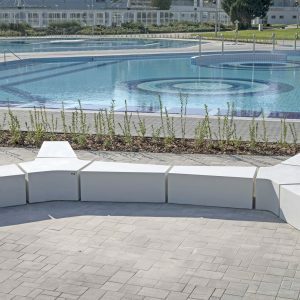 Instead they added features that hide them or ignore them. 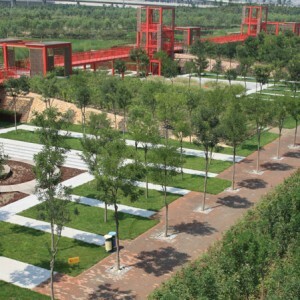 Its amazing the restoration of municipal storage urban residues en Tianjin Qiaoyuan Park by Turenscape Landscape Architecture. 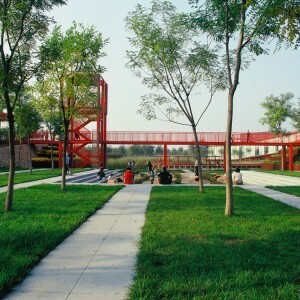 ¿ its possible to obtain more information about this project?. 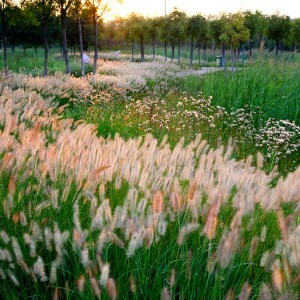 Congratulations and thanks for your answer.